As much as we spend time with cats, they still sometimes are a true mystery to us humans. To explain what life with these furry creatures is all about, Scott Metzger has been drawing cartoons since 1996. His single-panel images cut to the very core of owning a feline, and their humorous nature might just explain to you some of the 'cat logic' that seems impossible to understand and first. When it comes to great cartoons, few publications can match The New Yorker. The famous American magazine, now in its 92nd year, is well-known for showcasing the funniest, the cleverest, the most satirical, and the most poignant illustrations about life, death, and everything in-between. Former RuPaul’s Drag Race contestant Phi Phi O’Hara is taking Instagram by storm with her incredible '90s cartoons characters transformations. 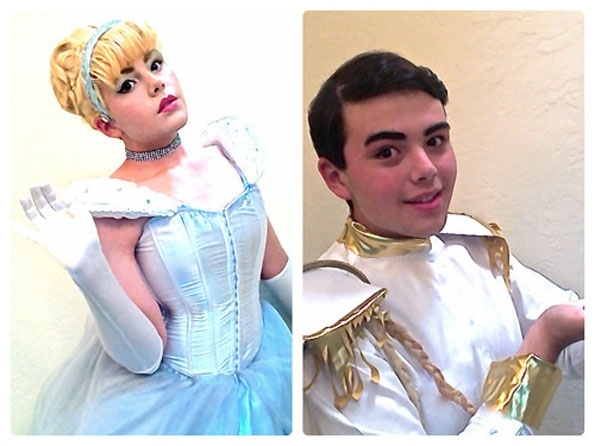 Starting off with various drag looks, her #365DaysOfDrag challenge evolved into a more complex one, including different themes and even prosthetics to finish the desired look. Her talent has already brought her 180k followers! Former RuPaul’s Drag Race contestant Phi Phi O’Hara is taking Instagram by storm with her incredible '90s cartoons characters transformations. These cartoon characters started from humble beginnings but now they have some of the most recognizable faces on the planet. 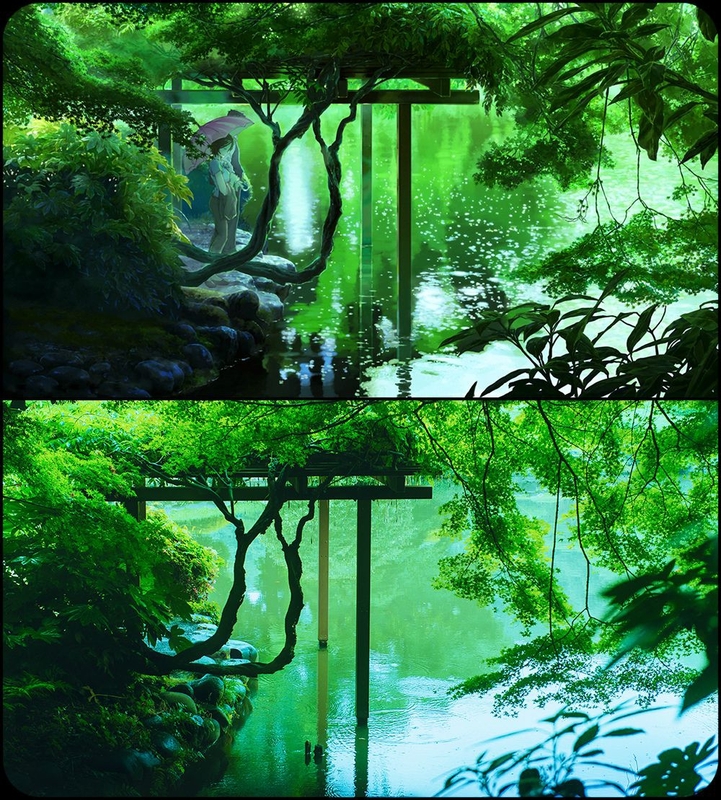 See how well the graphics artists of the 2013 anime film "The Garden of Words" matched real life scenes of Shinjuku Gyoen in Tokyo. With its 1994 film "The Lion King", Disney managed to create a timeless story featuring animals of the Serengeti Dessert. Disney proves it knows its subject matter, as the film turned out to be a surprisingly accurate portrayal of the wildlife and surrounding nature. Discover how the much-loved animation translates to reality here as redditor HappyChappie recreates the film's famous scenes on his recent journey to Kenya. 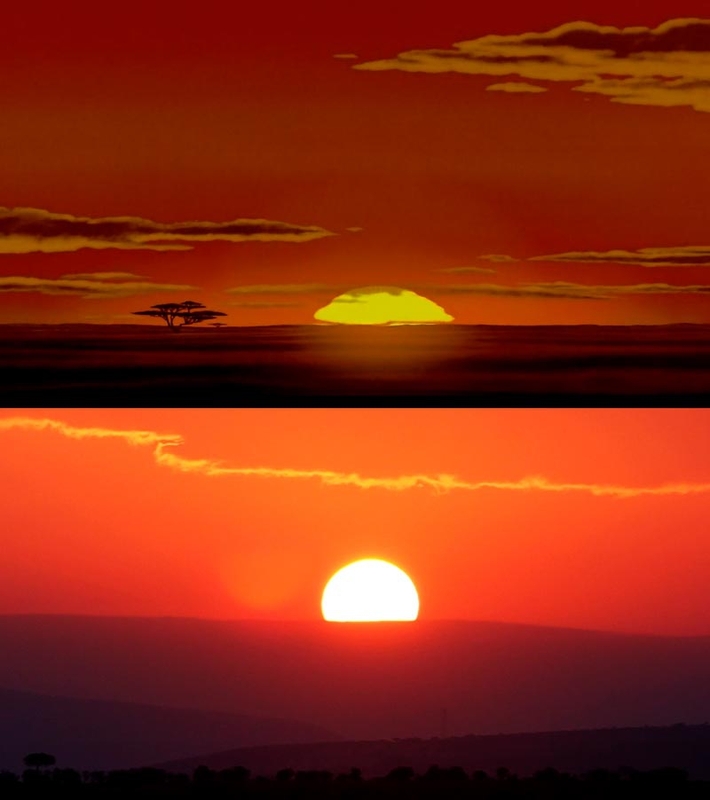 With its 1994 film "The Lion King", Disney managed to create a timeless story featuring animals of the Serengeti Dessert.